Pane in the Glass windows! Indiana Bones, Temple of Groom dog grooming! 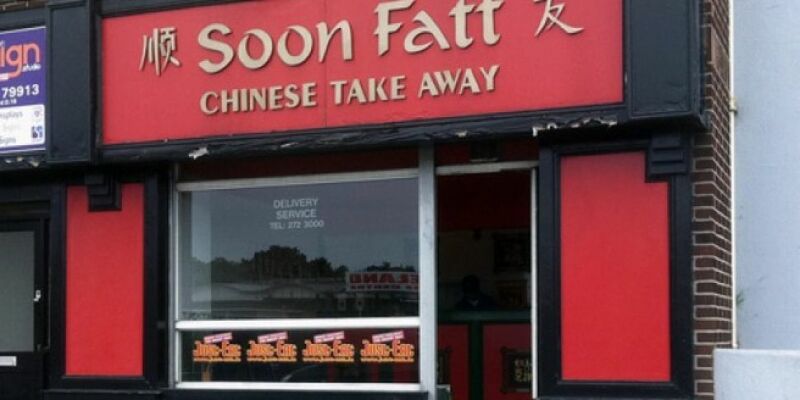 Soon Phat Chinese in Bray!! Bread Pitt for a bakery! There's a barbers in Abbeyleix owned by a hurler called Sideline Cuts! In Greystones there is a vehicle recovery company called Camel Tow! My cousin had a hair salon called Crops and Bobbers! I remember seeing a laundrette years ago in Athenry called The Iron Maidens! The chipper in Kilmuckridge is in the old post office and it’s called Oifig an Chip! There’s a double DJ act that go by the name of Amp & Dec.
Dave's stadium seat cushions - beats the sit out of all other seats! !